This holiday season, skip the big-box stores and opt instead for locally made, unique gifts for everyone on your holiday list. 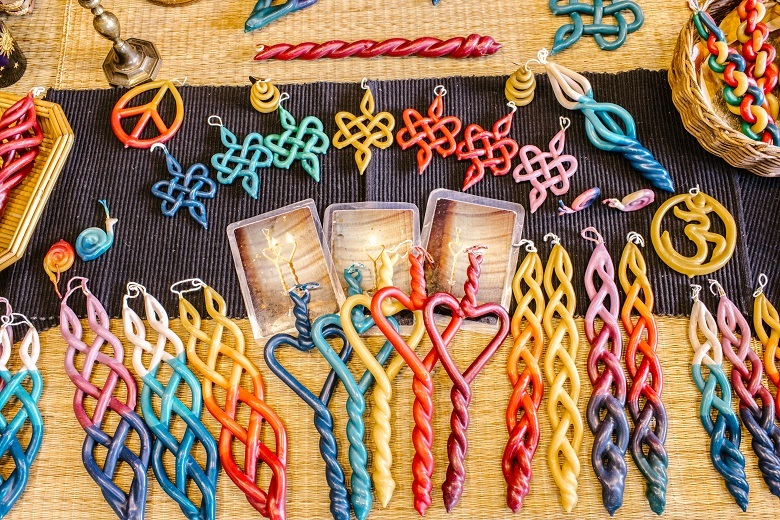 The Market has a variety of seasonal items, inspired art, jewelry, crafts, handcrafted cheeses, jams, and chocolates and something for everyone on your holiday list! 1. Chehalis Mints- Chehalis Mints are made with superior quality gourmet chocolate. The mint is grown in a rich agricultural region of Eastern Washington and converted to essential oil by Callisons of Lacey. 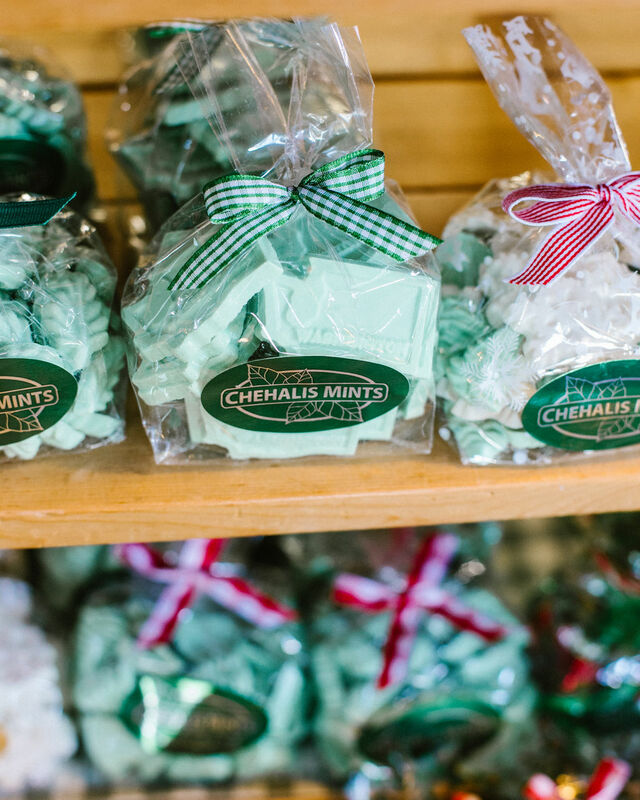 Each mint candy is hand-poured, hand-wrapped and hand-packaged. The unique wooden gift boxes are made of Pacific Northwest pine. Who on your holiday list wouldn’t love a sweet treat? 2. 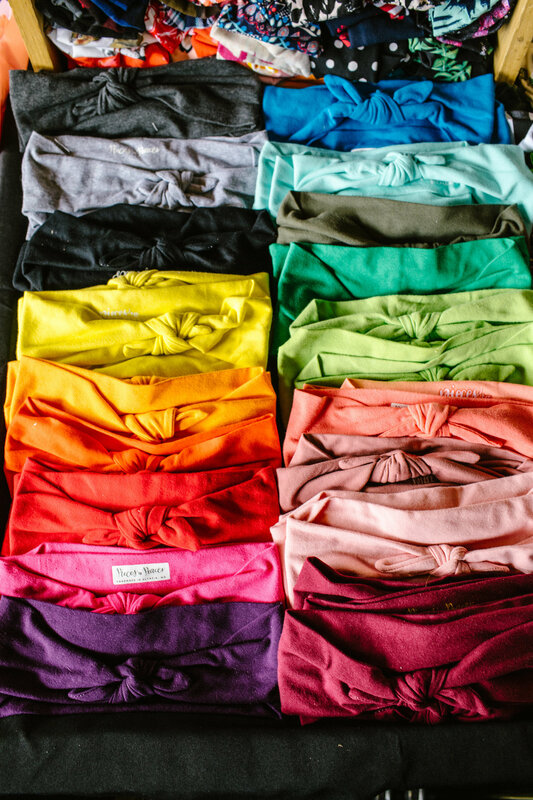 Pieces to Peaces- Danielle, owner, and creator of Pieces to Peaces and a self-proclaimed headband addict makes handmade, high-quality headbands, beanies, ear warmers, and other goodies. She is a PNW transplant, mama to a beautiful little girl, and has always enjoyed sewing, bright colors, and expressive prints. Her hand-crafted items are perfect for the fashionista on your list! 3. 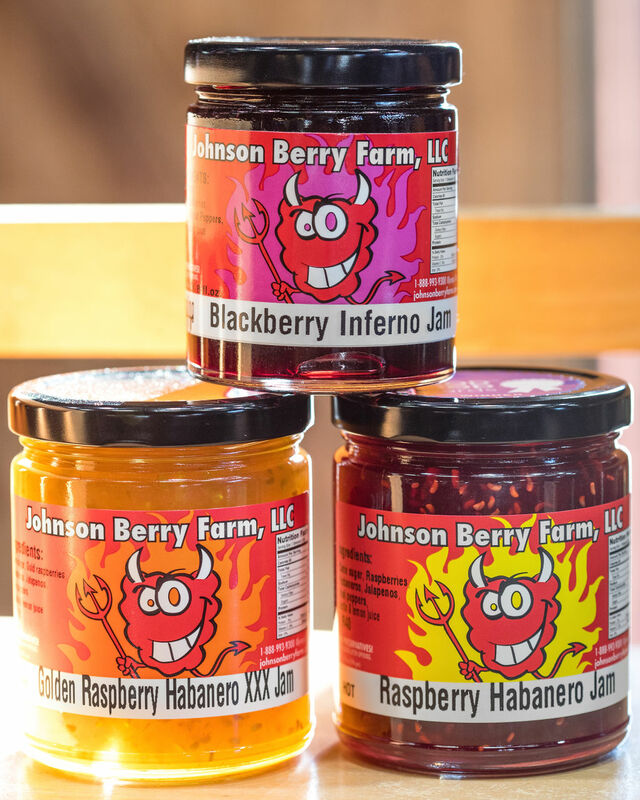 Johnson Berry Farms- Owner Jim Johnson has created all the recipes for Johnson Berry Farms jams, vinaigrettes, pepper jams and everything sold at their stands and on their website. Their Tayberry Jam is a Good Food Award Winner. Their products make great gifts for those who appreciate fresh and local ingredients; Johnson Berry Farms grows the berries, makes the jams, and ships right from the farm! 4. Silentgoddess Jewelry- Owner Laney Clark has been handcrafting metal jewelry for over 25 years. Her work is most often inspired by the abundance of nature she’s surrounded by in the Pacific Northwest, but she is occasionally persuaded by bold, straight lines of urban scenery. Clark spends her days with a saw in one hand and a hammer in the other, creating small works of art: hand drawn trees, singing birds, and flower blossom pendants, gemstone rings, and hand forged earrings are just a few of the items she creates by hand, from start to finish. 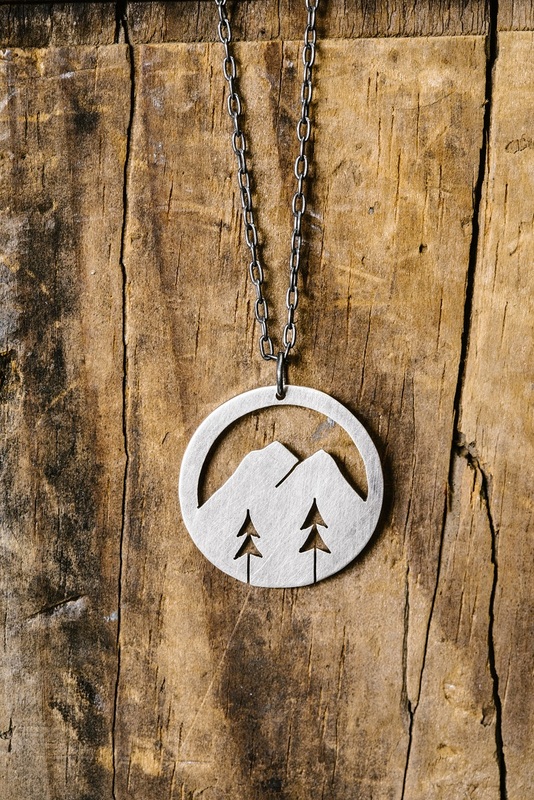 Her pieces are the perfect gift for someone who wants a little piece of art to wear to represent the unique and beautiful Pacific Northwest! 5. Hot Babe Hot Sauce- Does someone on your shopping list like food with an extra “kick?” The original Hot Babe-Hot Sauce™ with no artificial preservatives, flavorings, colorings or sugar is available in four heat levels (Light, Medium, Hot and XHot) and is made lovingly by hand at their community kitchen in Yelm, in small batches from non-GMO, and- where possible- organic ingredients. 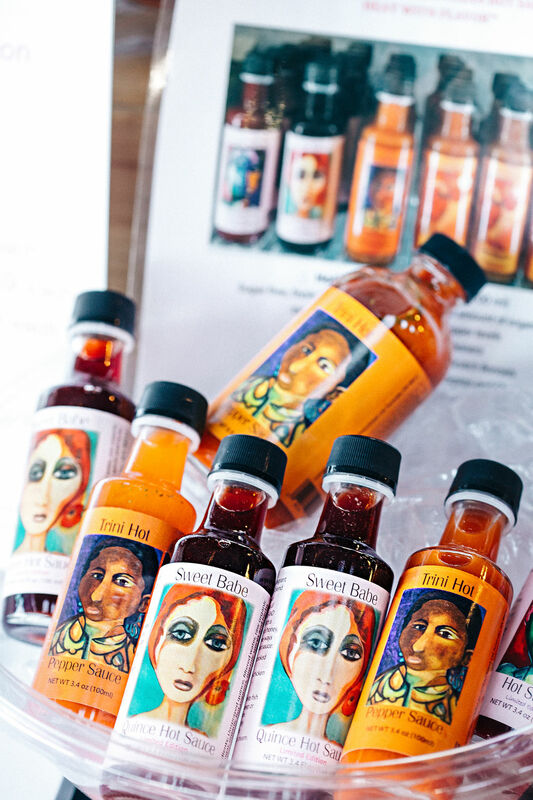 Their artisan sauces combine their family recipes with owner Sandra Bocas’s own artwork on their labels. 6. Marion Pollmann Ceramics- Looking for something hand-crafted and one-of-a-kind? 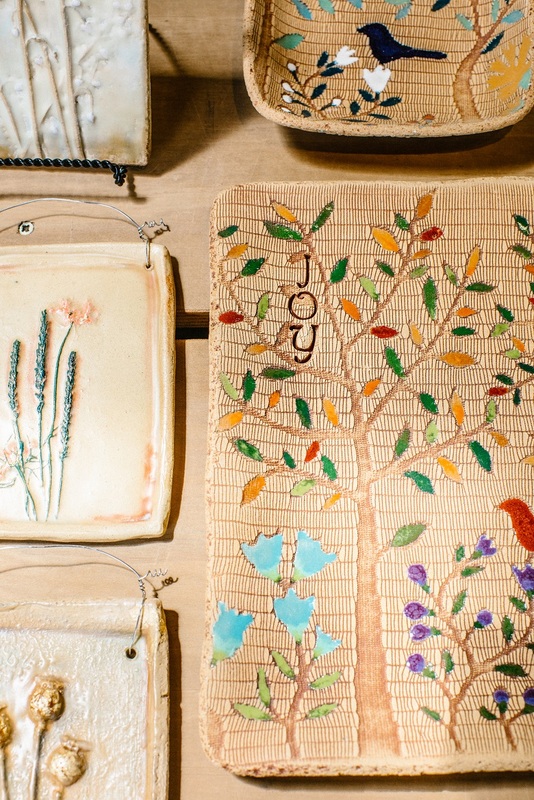 Marion Pollmann’s clay murals, sculpture, mosaics and pottery capture the beauty of the elements of nature and local surroundings and can withstand exposure to cold, hot, dry and tropical climates. Her functional pieces are food and dishwasher safe and all of her work is weather-proof. Pollmann loves being a part of the local vibrant art scene. Having the Farmers Market as her storefront for the last eight years has allowed her to connect with neighbors and travelers who value art as much as she does. 7. 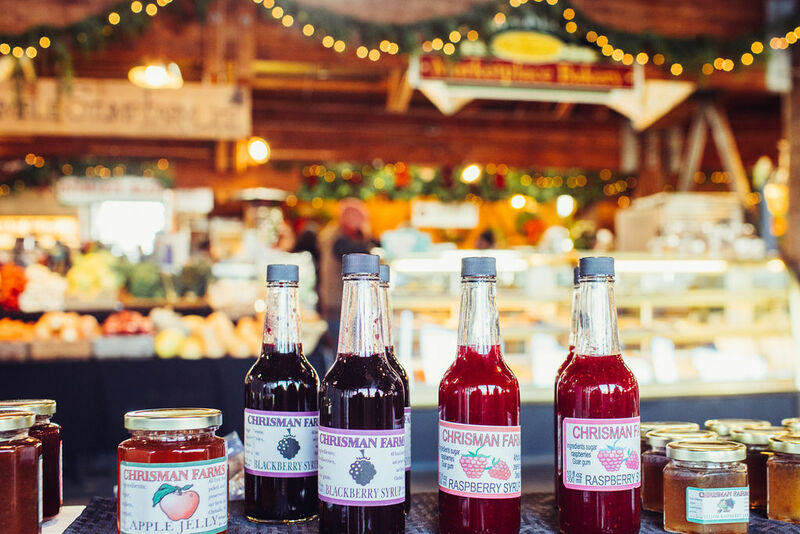 Chrisman Farms- Give someone an authentic taste of the Pacific Northwest- Chrisman Farms produces jams, jellies, syrups, and fruit leathers- all made from their own recipes, from all-natural ingredients. No artificial preservatives, flavors or additives of any kind are used, and they use only locally grown fresh produce, grown in the Pacific Northwest. All the fruit they use in their jams, jellies, syrups and more is grown and hand-picked on the farm. 8. Long Leaf Candles-Give the Gift of Light! Long Life Candles offers an array of hand-crafted, originally designed candles incorporating worldwide cultural influences and symbols, with their unique style of dipping, twisting, braiding, weaving, and creating elegant and intricate designs. Their products include unique, “never-before-seen” candle designs created in 100% Beeswax. They offer a wide array of pure beeswax candle styles and designs to choose from, including 100% Beeswax tea-lights, long burning votives & tapers, pure essential oil infused tea-lights and votives, many unique styles of multiple-flamed braided, twisted & woven designs, ceremonial and celebration candles and more! 9. Kathleen LeGault Art-Have an art aficionado on your list? Kathleen LeGault has created art since she was a child. Elementary school through high school she discovered drawing and painting as her first love. 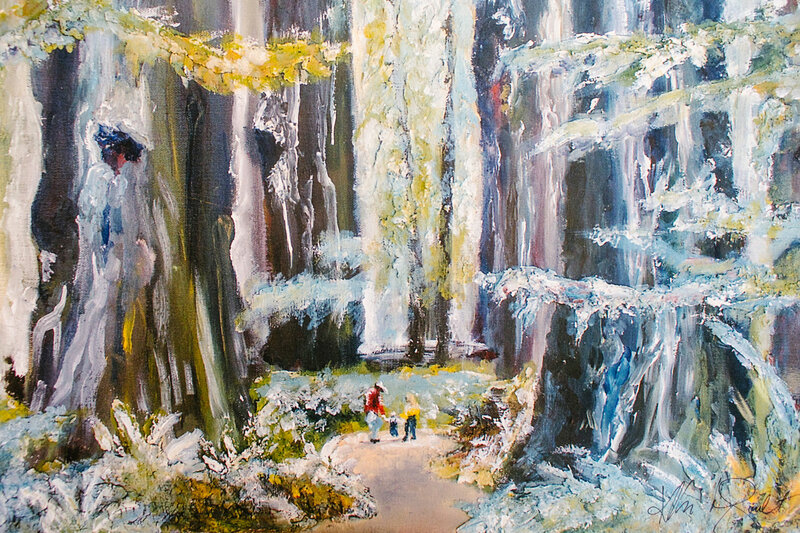 She has exhibited in several exhibitions in WA State including Gallery One, and 420 Loft Gallery and been published in Manastash Magazine. She sells her unique and colorful prints, greeting cards, and more at the Market! 10. 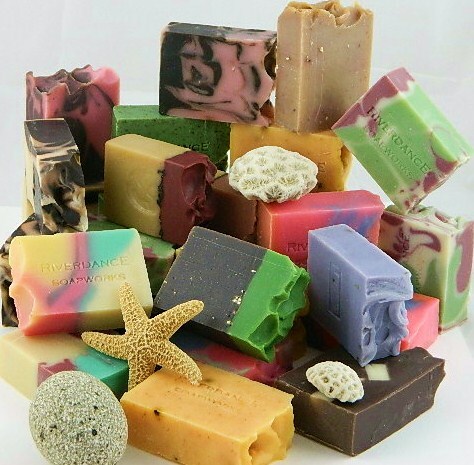 Riverdance Soap Works- One of the longest established handcrafted soap companies in the United States, Riverdance Soap Works has been making bath and body products since 1991. Their luxurious product line includes: cold-processed soaps (vegan and goats’ milk), body butters, bath salts, fizzing bath bombs, lip balm, spritzers, solid lotion bars, sugar scrubs, healing therapy creams, and gift sets packaged for you at the point of sale, or by special order. Treat someone…or yourself this holiday season! 11. Secret Garden Quilts- Give the gift of warmth this winter! 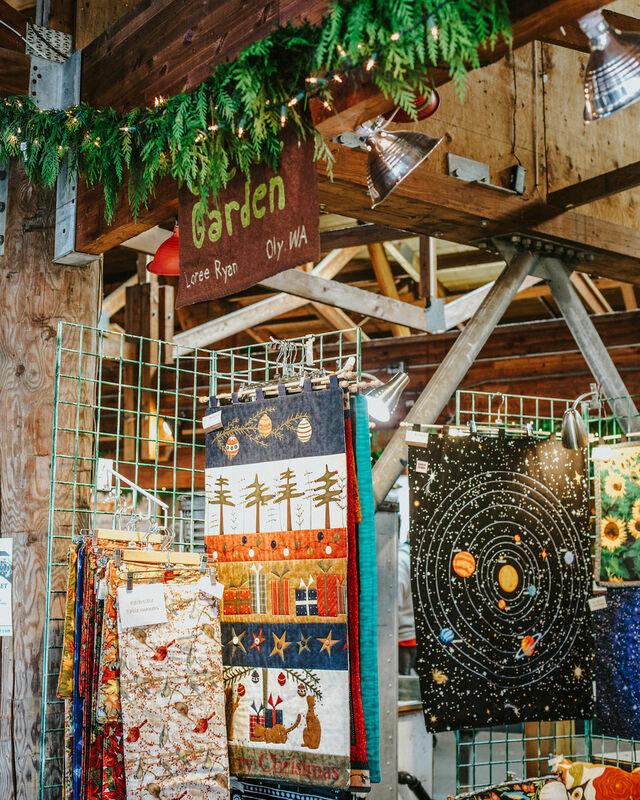 Secret Garden Quilts creates handmade gifts and decor including quilted wall-hangings, pillows, reusable tote bags, table runners, placemats and potholders. 12. Paper Matters- Owner Petrina creates memorable Greeting Cards for nearly every occasion. 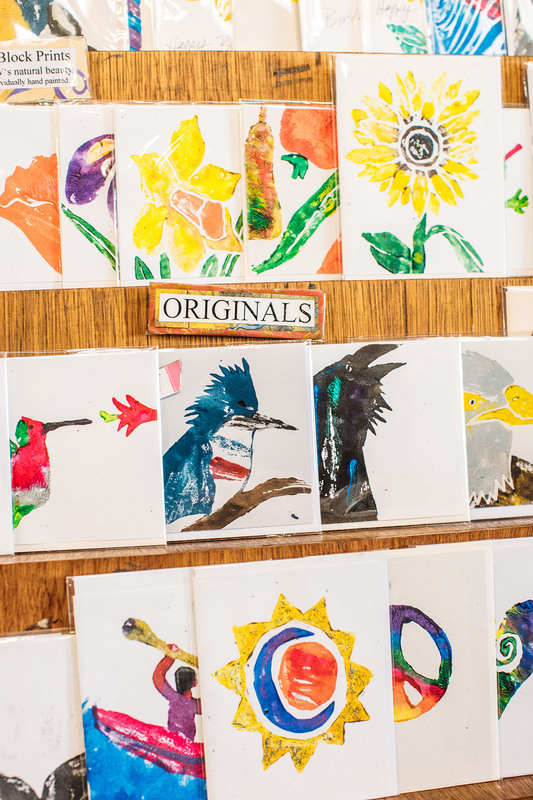 Her art card business began with the block prints she carves, hand paints and prints from the flora and fauna of Washington State. Much of her artwork is in collage and her “Botanical Beauties” include layers of papers that frame real pressed flowers from her garden and back yard forest-perfect for the plant lover on your list!